Posted on January 15th, 2019 by Richie Koch in Articles & News. This year, we received recognition for some of the unique advantages that our VPN service offers. Here are some of the awards for 2018 and 2019 that were just announced. We are happy to receive these awards, not only because they acknowledge the extra security and privacy protections we have built into ProtonVPN, but because awards also help others to discover the online security and privacy that we offer. PCMag is one of the most respected outlets covering computers and technology news. Its first issue, back in 1986, featured an interview with a young Bill Gates. Ever since that auspicious beginning, PCMag has enlisted industry experts to evaluate the latest software and hardware developments. The company offers a rare, truly free experience that doesn’t limit your bandwidth or push ads. UptoDown is the world’s second most popular software catalog for Android apps, behind only Google Play. They are an authority on everything Android. Based in Spain, they reach over 90 million international users each month. It’s easy to get lost in the world of VPNs available on Android. Every day a new one appears and most of them make promises they don’t intend to keep. It’s hard to find a trustworthy free VPN app and that’s why we’re so impressed with ProtonVPN… Your privacy is what’s most important and ProtonVPN knows it. That’s why it doesn’t keep any record of your online activity. In these times of scandals about leaked data by companies, it’s always nice to see a service like ProtonVPN. BestVPN is a well-known VPN review site. Starting in 2018, they launched their annual VPN awards. 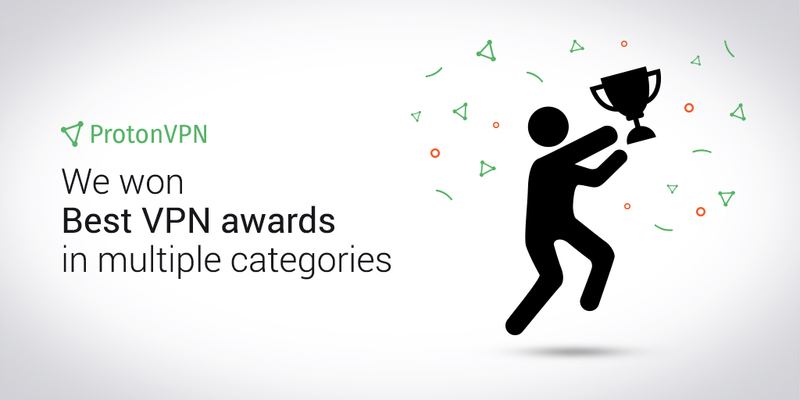 For the second year running, ProtonVPN won their prize for Best Free VPN. ProtonVPN imposes no data limitations on its free users, which is fantastic… [This] makes it very feasible to use the free VPN plan as a fully-fledged VPN service. Free users do not have to suffer ads. …the free service performed very well in our tests, with a 45 Mbits/s result that was probably only capped by our 50 Mbits/s internet connection. After ProtonMail, pretty much everyone was expecting something special with ProtonVPN. By-and-large, Proton has delivered. ProtonVPN is an excellent and highly competitive premium VPN service. [Their free service is] limited to just three server locations, but with no data limits and speed results that are better than most paid-for services. The team at vpnMentor has a combined 73 years of experience working on online privacy issues. They use that experience to write full, detailed, and easy-to-read reviews of VPN services. Run by the company that owns Protonmail, the world’s largest encrypted mail service, ProtonVPN might not be the cheapest provider on the market, but it offers unsurpassable Swiss quality and is a strong player in the privacy industry. Our ProtonVPN review team has made our stance on free VPN services very public. They’re either getting money from you in less transparent ways, or they’re so restricted as to be borderline useless…. BUT, [the ProtonVPN Free Plan] will not limit your bandwidth, how much you can download, or how many times you can switch servers. That’s the best free VPN deal we’ve seen so far. While recognition is nice, our primary goal isn’t to win awards but to make a secure and private Internet available to everyone. For this reason, the most important feedback for us is from the Proton community, so follow us on social media and let us know what you think! You can get a free ProtonVPN account here.